Did y’all have an awesome 4th of July?? We did for sure! And part of that fun was thanks to Pinterest. 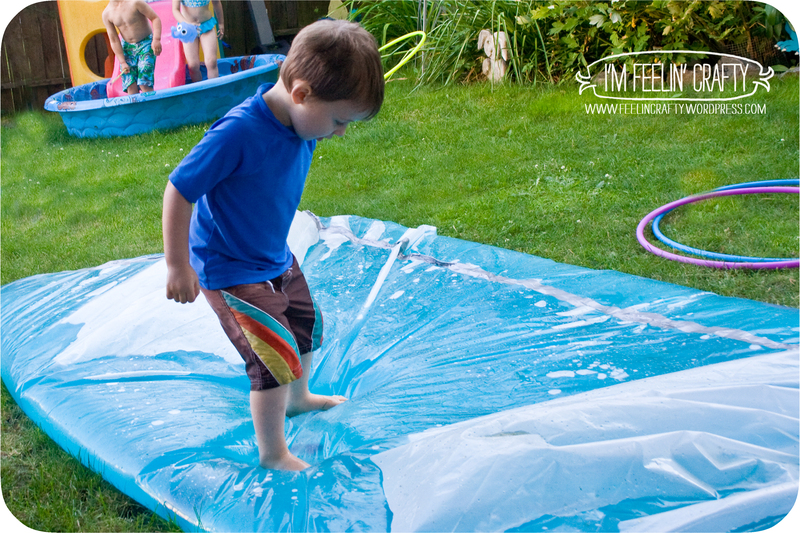 We filled up the kiddie wading pool like we usually do during the summer, but we also tried out a couple of pinterest fun ideas I’d found. And yes, it leaked. Especially the corners. Just keep the duct tape handy. Once you see a squirter, just add more duct tape. At first I was trying to fix every leak I saw. But I ended up only hitting the big ones. And the leaks just added more fun! 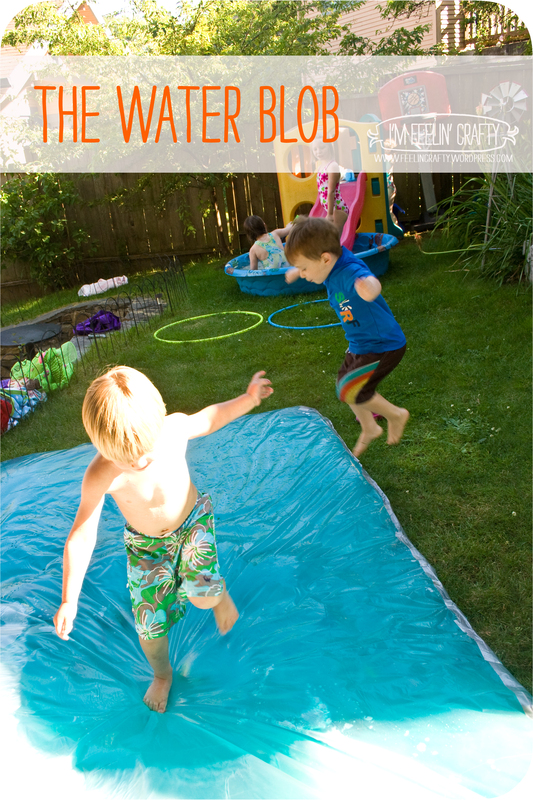 When they jumped on it, there was more splash! We added food coloring and gummy worms and fish. the first day I filled it up so that it was about 3 inches thick. the next day some of the water had evaporated out and some had leaked, so it needed to be refilled. I kinda forgot I had the water running and it ended up being closer to 6 inches thick and, man, it was soooo much MORE fun!!! So go for thick! 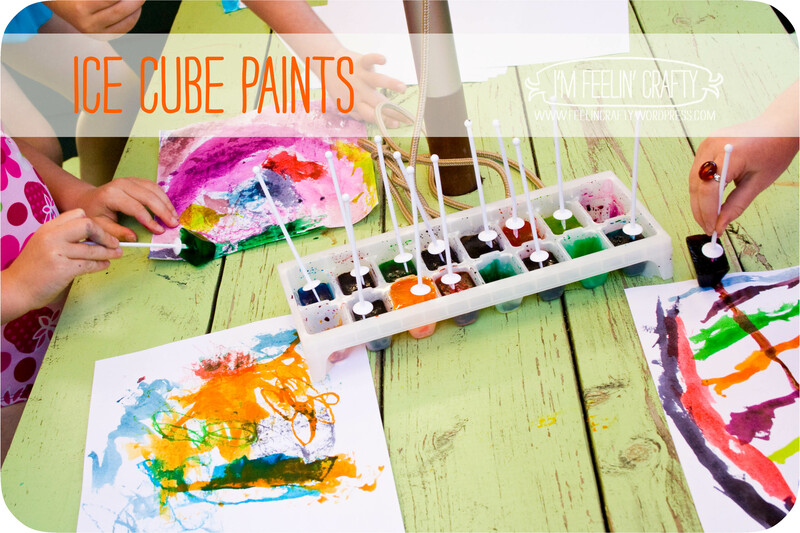 Then we made Ice Cube Paints! Ok, here’s the scary thing…. I don’t think I made this up… I thought I’d seen it on pinterest, but I can’t find it again… I should be too young for senior moments like this… Right??? (This is where you nod nad say Yes, Louise, You’re too young to be having ‘senior moments’) So, I’m not linking to the inspiration ’cause I can’t find it, not because I’m trying to call this my own idea. But at this point, I don’t even remember, maybe it just came to me…. Who knows at this point! Anyway, the important thing is that we made them and had fun with them! We just added food coloring to an ice-cube tray and very carefully added the water. I then covered the tray with aluminum foil and added the sticks (cake pop sticks in our case). Freeze, remove and paint! Then freeze again! 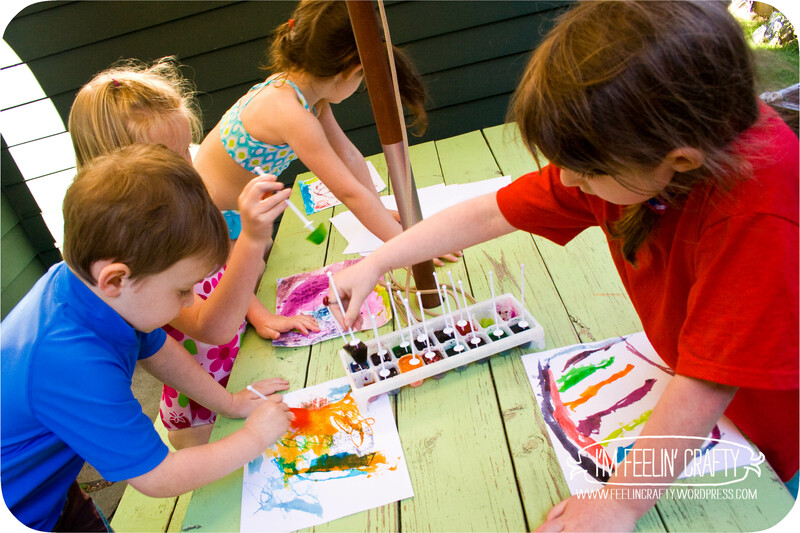 Perfect summer fun for the 4th of July! Love this idea! Yours or not, it’s still a good one! I can’t wait to let my daughter paint her masterpiece with some. Thanks! It was fun and we still have some left in the freezer! Iron the sides!!! That fantastic! I love it! Thanks for the idea.